Every girl knows the thrill of shopping for a new pair of shoes, and the undeniable draw a finely-made heel or boot can have. Let’s just go out and admit it: many women can relate to Carrie Bradshaw and her shoe obsession, and it’s arguable that it’s not diamonds that are a girl’s best friend, but shoes. And anyone who has ever gone shoe shopping with a woman will tell you that the experience can be quite harrowing. There are just so many choices, but sometimes, it still seems like there aren’t enough, and women can go around looking for the “perfect shoe” for hours, without ever finding it. As is often the case, technology is here to save the day. 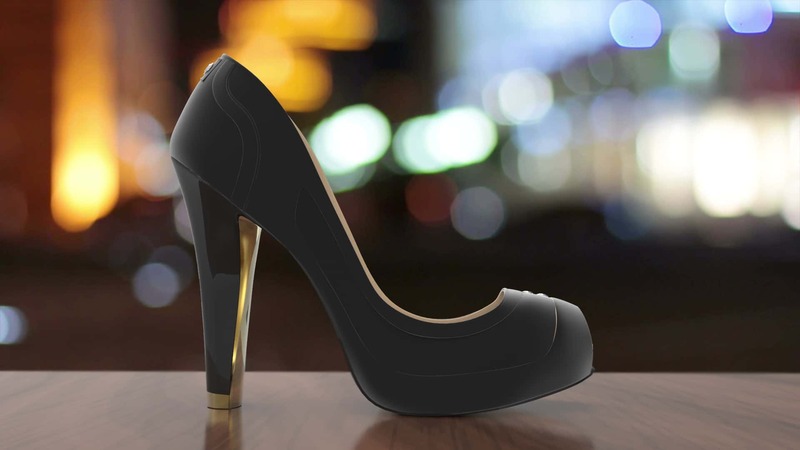 A Lithuanian startup called iShüu Technologies has just launched a new project on crowdfunding site Indiegogo: the Volvorii Timeless heel, a shoe that can be controlled with a smartphone app. 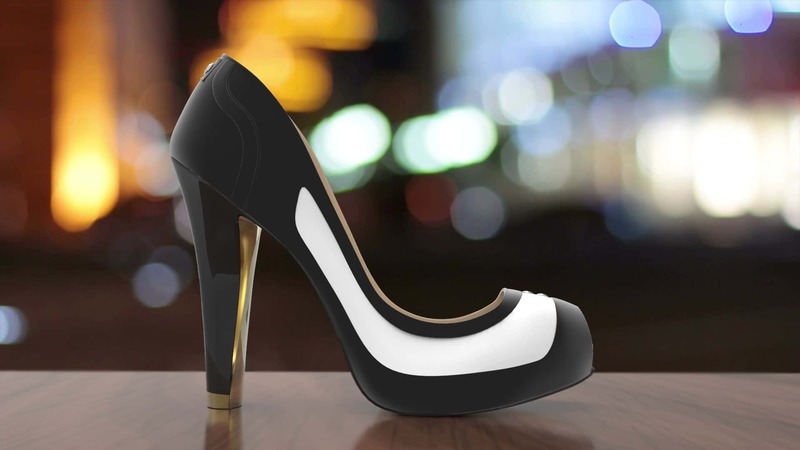 The Volvorii Timeless is an elegant shoe, coming in several fashionable designs, from the classic pump to strappy heel. It comes in two colors: black, and white. 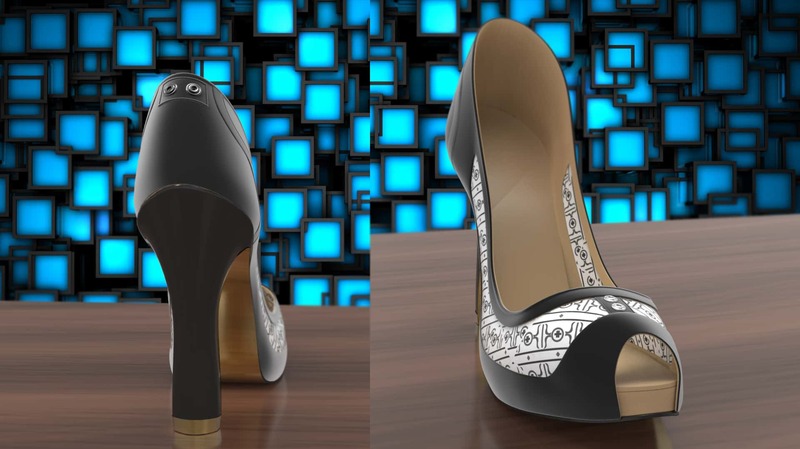 At first glance, you’d be forgiven for thinking that it’s just any other shoe, but upon closer inspection, you’ll see that it has a panel of E-ink that can be customized to show any pattern you want, all through a smartphone app. It even has little accessory anchors on the front and at the back, so you can further customize the shoe. 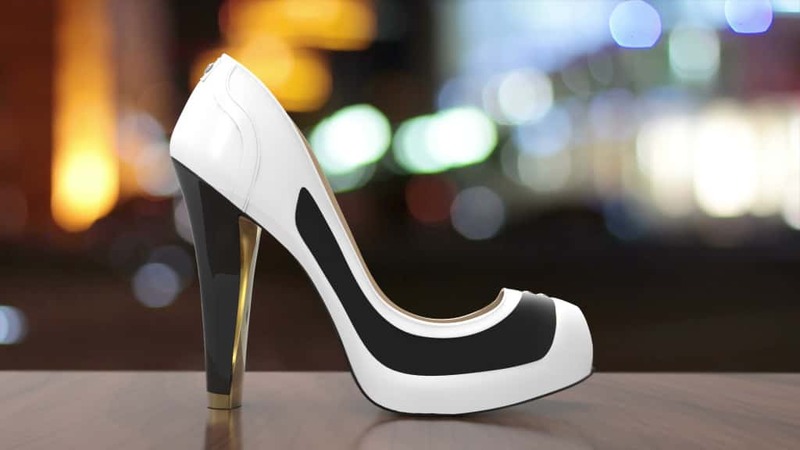 iShüu Technologies plans to launch an online platform where customers can purchase different accessories to use with their Volvorii Timeless shoes as well, meaning the shoe can quite possibly be the most versatile shoe ever made. 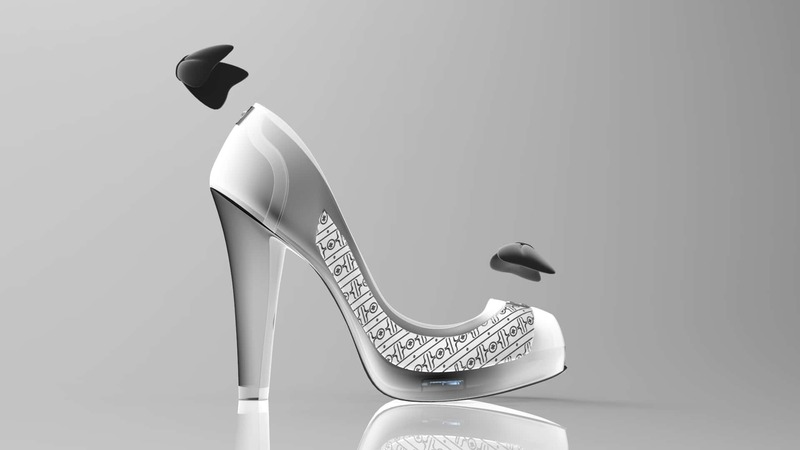 According to their Indiegogo page, “In essence it is smart high heel shoe whose colors and design patterns can be controlled via a smartphone app to match outfits, among its other hidden sensorific capabilities to be unlocked.” The shoe has been featured and promoted by a multitude of organizations as well, with the president of E-Ink Corp. even preordering a pair. Of course, this isn’t the first time that E-ink has been used for fashion, as you may remember the Tago Arc, the beautiful bangle that you could customize to show even your own designs.